What is dementia in dogs? What are the symptoms of dementia in dogs? What are the known causes of dementia in dogs? How is dementia in dogs treated? Is there any medication available? You might not know that dogs can develop dementia, but they can be affected by it just like humans. Of course, there are essential differences between the two illnesses and that means that you should be prepared for the event that your dog might develop such a condition. In dogs, dementia is as much a cognitive disorder as it is in humans. Becoming knowledgeable of the symptoms, causes, treatment, and prevention of this condition will give you all the chances to offer your dog the love and care he or she deserves. 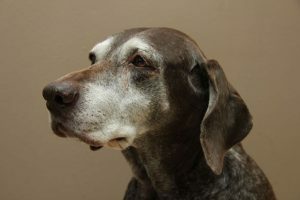 Most of the time, dogs who are in their senior years can be affected by this condition, which is the same thing that happens to humans, too. Of course, this doesn’t mean that your dog cannot develop dementia earlier. However, it is worth mentioning that the canine form of dementia is much under-diagnosed as we speak, and that especially dogs over ten years of age are the affected category. Dementia starts to manifest as degradation of brain tissue begins. 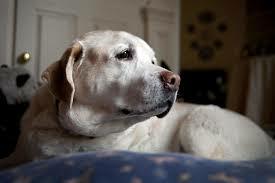 This degradation is directly related to the age of the dog, which is why most older dogs are affected by it. Owners may have a hard time recognizing the symptoms, and that makes the disease so underdiagnosed at the moment. If you notice your dog becoming confused and having episodes much like humans with dementia, it may be time for you to take your furry friend to the vet and ask for an opinion. Also, to avoid losing your pet, it may be a good idea to take a look at the dog GPS trackers now available for sale, and get such a device for your four-legged companion. As mentioned earlier, dementia in dogs can be challenging to diagnose. Especially if you are not familiar with the possibility that such a disease can appear, you will feel tempted to blame the symptoms of this condition on nothing else but aging. You may notice that your dog starts eating less and drinking less water than usual. A constant lack of interest in everything surrounding him or her will appear as well. Your dog might also start to bark for no apparent reason and for prolonged periods of time. Disturbed sleeping patterns emerge, too, as your dog begins to sleep more during the day, but stay awake at night. With so many different symptoms, it can be, indeed, difficult to decide that it is time to see a pet doctor and ask him or her about a diagnosis such as dementia. Getting informed helps, and, as your dog advances in age, regular visits to the vet should become the norm. Pay attention to other signs, too, such as getting stuck under or behind furniture, or staring at the same spot for hours. Just like dementia in humans, dementia in dogs seems to be quite tricky to diagnose and identify a cause for it. Actually, there is no known cause of this condition, and, except for advanced age, nothing else seems to be correlated to it. 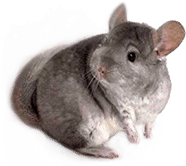 The condition doesn’t seem to affect certain breeds in particular, and the earliest, the condition seems to manifest around 11 years of age, as a general rule. Most dogs who get to live for 16 years begin to exhibit the symptoms. Dog owners must be prepared for such a diagnosis. They might want to install electric dog fences to keep a wandering pet close. 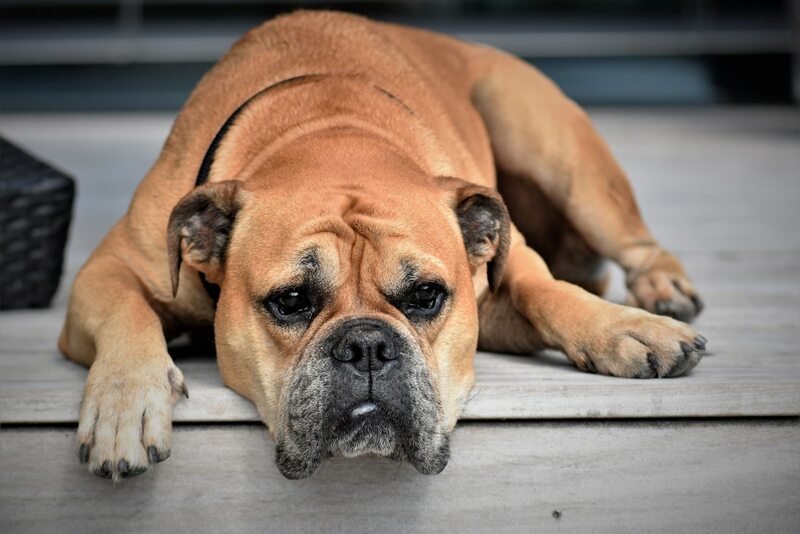 The veterinarian will run some tests on your dog to establish a diagnosis, and even a brain scan can be recommended to evidentiate the appearance of deteriorated brain tissue. Unfortunately, dementia in dogs does not have a cure, and it is an irreversible disease. However, this doesn’t mean that there is nothing you can do to help your dog live a comfortable life. Make sure that all the conditions for a cozy life are met. For instance, you can use a cooling pad for dogs in the summer, to avoid overheating. Other measures can be taken. Ask your vet for a new type of food that is indicated for aging dogs. Reputable brands offer excellent products that help dogs in their old age by supplementing their diet with nutrients and antioxidants that can slow down the degenerative process. Also, bear in mind that you should keep your dog active, by walking him or her. Getting some interesting toys, or getting the dog involved in activities that are fun and can keep him or her active, also helps. It is vital that you keep in mind that your dog needs a proper environment to feel comfortable. What you can do is to arrange a clutter-free environment for your dog so that no obstacles can make the area difficult to navigate. If you remember from the presentation of symptoms, dogs with dementia are more likely to get stuck under or behind furniture, something that can cause severe distress. It appears that the symptoms are related to the decrease of a particular hormone called dopamine, which is responsible for mood and overall well being. Your vet can decide if it is a good idea to administer such medication to your pet. It may alleviate the symptoms and make your dog feel a bit better, so, when the symptoms get too harsh, you can consider such a possibility. There is no cure for dementia in dogs, and there is hardly any prevention that you can employ effectively. However, keeping your dog active and caring about his or her diet, as well as the level of comfort, on an everyday basis, can help your dog lead a long happy life, within the possibilities. If the symptoms worsen in a dog with dementia, a visit to the vet for advice is highly recommended.